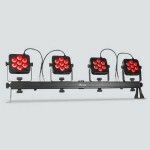 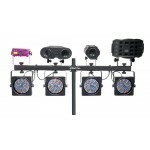 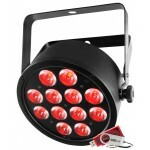 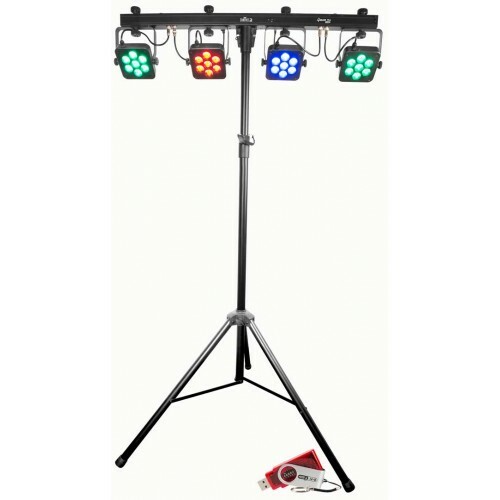 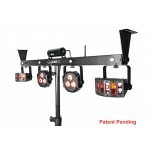 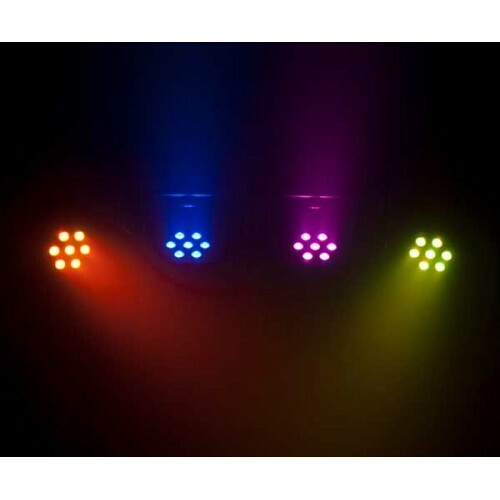 4BAR Tri USB is a complete wash lighting solution ﬁtted with high-intensity tri-color (RGB) LEDs that can be controlled wirelessly via the included footswitch or the optional IRC-6 controller (sold separately). 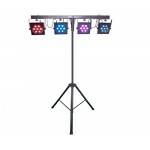 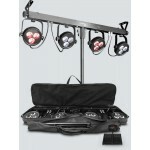 It also features D-Fi USB compatibility for wireless master/slave or DMX control. 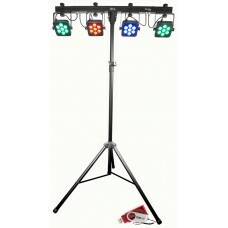 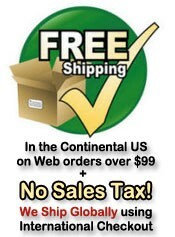 A convenient tripod stand and carrying bag are included for quick and easy setup and tear down.